Need an occasion to chomp on your favorite sugar cookies without the guilty thoughts assailing you, then here’s a special day dedicated to you. Sugar Cookie day, July 9-a sweet day for all the sweet tooth! Whoever came up with this wonderful concept of such an occasion was witty enough to celebrate his/her cookie yearnings well. Forgetting all inhibitions of weight issues just for a day one can gluttonously gorge on this delicious affair! So here’s how it all originated- cookie first took its form in a place called Nazareth Pennsylvania. It was there that the German protestant settlers created a round, crumbly and buttery thing and named it as the Nazareth cookie. This Nazareth sugar cookie was later adopted as Pennsylvania’s official cookie by the Commonwealth of Pennsylvania (House Bill 219), though there has been some ambiguity concerning this issue after a 4thgrade class at Clan Elementary School in Coatesville lobbied for a resolution that would designate chocolate chip cookies as Pennsylvania’s official cookie. But this is not all to the history of cookie, there was a preceding version available know as Jumbles, more like a biscuit than a cookie. This was popular in the 17th and 18th century in Europe. It was a non-leavened food that could be dried and stored for many months. This jumble cookie was known by many different names including gemmel, jambal and jumbal. They were often savory rather than sweet, flavored with rosewater or aniseed. They were traditionally shaped in knots and other intricate shapes and baked until crispy in order to withstand the test of time. This variety of cookies was later introduced to Europe by the moors of Spain. The cookie was very heavy on sugar and probably included nuts and fruits and in many cases dates. The shape was like an “O”. Nevertheless, they were very tasty, loved both by children and elders alike. Coming back to the modern cookies, this can be called more of a descendant of the Nazareth-style sugar cookie than the Jumbles of Middle East. A holiday favorite and easy to make, sugar cookies are made with sugar, flour, butter, eggs, vanilla and either baking powder or baking soda. These are simple ingredients which people always have at hand and can hence whip up for kids and family- any time. To make it more exotic in look, the cookies can be shaped into different figures with cookie cutters and decorate them with frosting and sugar sprinkles to get the look. The cookie making culture indeed sounds great but here comes its side effects. You might not get what are the disadvantages of having sugar cookies, but there is plenty of info available why chucking out sugar from diet is necessary. Cookie is only good to the extent to pamper your sweet tooth occasionally but excess can have its toll on the health. High on carb and calories, this is one edible only good for scaling the weight, besides the taste. Not very advantageous from the nutrition point of view as it is made with sugar and butter- however anything which is consumed more is not good health wise. You just can’t save that slim toned body by gorging on cookies if you really care for it. And of course there is always a danger of you becoming diabetic. So if you don’t want to slog out in a gym again for those guilty cookies, restrict yourself to occasional treats rather than having a lavish cookie affair every day. 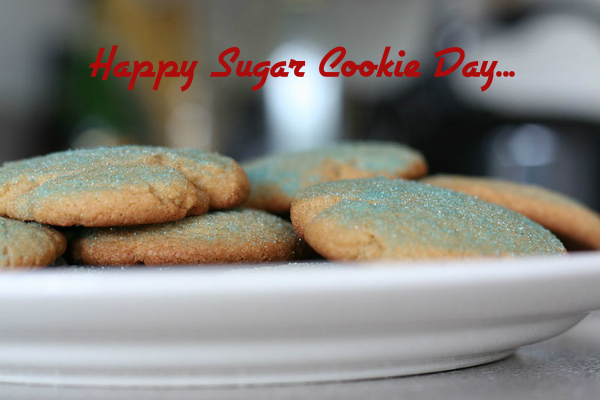 ← How to Go the Healthy Way and Celebrate Sugar Cookie Day!